Ordinarily I would be jealous of anybody who was jammy enough to be behind the wheel of a rally car, but on that bitterly cold winter’s day when the forest rally stage was more sheet ice than gravel, I was quite happy to be standing by the side of the road instead. This was a little over ten years ago, right at the end of the 2008 motorsport season. We were at M-Sport’s Grizedale test facility, the pocket of Cumbrian forest where Malcolm Wilson’s rally team develops its WRC cars. On that day, Grizedale was hosting the Ford Fiesta Trophy end-of-year shootout, the prize for the fastest of the handful of ambitious young rally drivers being a potentially career-making 12-month placement at M-Sport. A small crowd of onlookers - me, Malcolm Wilson, his son Matthew (still an active WRC driver at the time but there for the day as a judge), a tall Finnish gentleman called Marcus Gronholm plus one or two others - watched on as the hopefuls struggled just to keep their front-wheel drive Fiesta STs on the narrow forest track and out of the conifers. One of the cars buzzed into view. We watched as it masterfully navigated the icy right-hander that had caught out several of the runners before it. All around me heads nodded in appreciation. The car continued around the next bend, then disappeared out of sight through the following corner, its exhaust barking away noisily. And then silence. ‘He’s off!’ shouted Matthew Wilson. We all ran after it as quickly as we could. When we rounded the corner we saw the car, only its wheels and underside visible as it hung upside down in a huge drainage ditch. 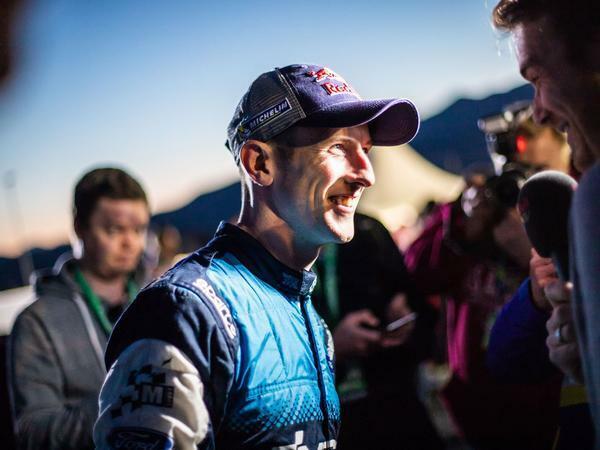 The co-driver emerged just as we arrived on the scene and then, a moment later, his cheeks flushed and eyes widened, Elfyn Evans pulled himself through a window and out into the biting cold. Everybody knew the shootout had been Elfyn’s to lose. With his car inverted hopelessly in a gulley, it was clear to us all that he’d done exactly that. 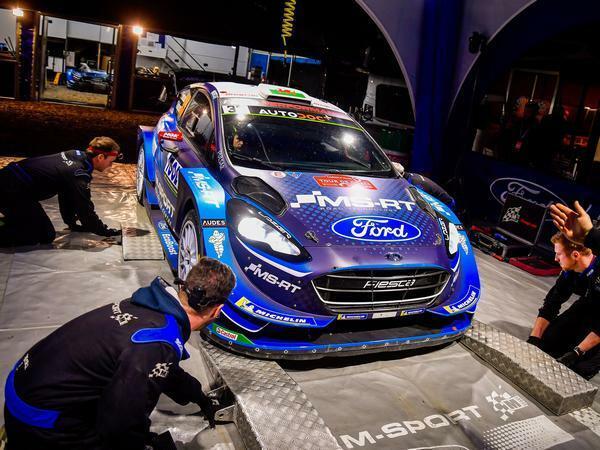 As a recovery team set about righting the little Fiesta, Malcolm Wilson turned to the young Welshman and said, "Oh Elfyn, what’s your father going to say?" 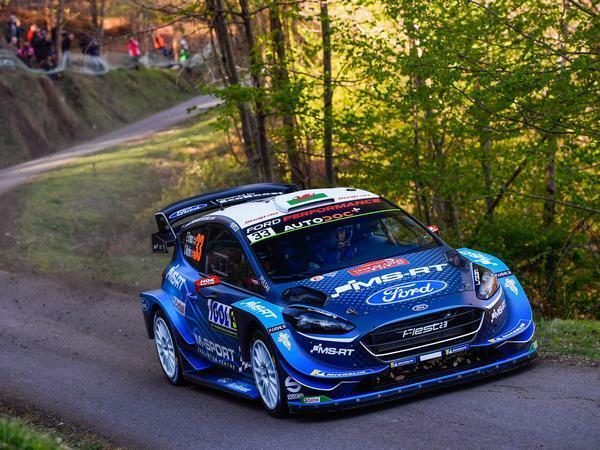 If it seemed improbable to me that evening that Elfyn Evans would ever drive for Malcolm Wilson’s rally team, for the man himself it must have felt like an impossibility. A infinitesimal misjudgement on a very slippery surface had had apparently dire consequences for Evans that day. Yesterday, a decade down the line, it was no more than an infinitesimal misjudgement that cost the Briton a famous victory on one of the most illustrious rallies of them all, the Tour de Corse. In time, that inversion in Grizedale proved to be nothing other than a bump in the road for Evans’ career. In just a handful of years he’d worked his way up the ranks and into the M-Sport Ford World Rally Team seat that had briefly looked so far out of reach. He’s now in his fifth full season with the team. Having outdriven six-time world champion Sebastien Ogier and multiple WRC rally winner Thierry Neuville, as well as Sebastien Loeb, the greatest rally driver of all time, and Ott Tanak, perhaps the fastest rally driver in the world right now - plus everybody else, for that matter - for almost the entire weekend, Evans had come within a few kilometres of winning in Corsica. He was about to become the first British driver since Colin McRae to triumph on that most specialised of tarmac rallies. 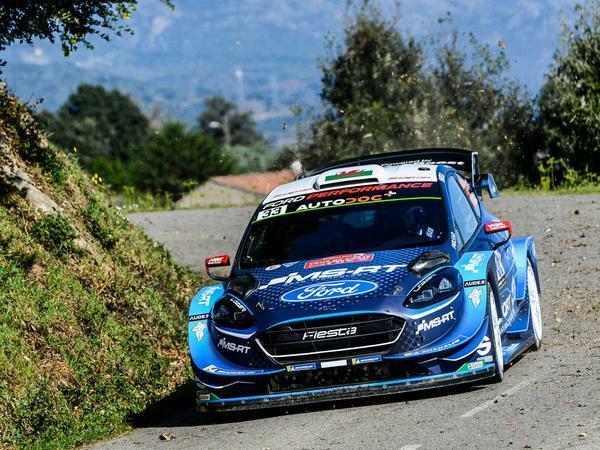 But then, halfway through the fourteenth and final special stage, he clipped a stone in the middle of the road in his Ford Fiesta WRC, punctured its front-right tyre and slipped from first overall to third. Neuville won the rally that so clearly should have belonged to Evans. The Welshman has won before at WRC level, finishing first on his home event in 2017. But he had a tyre advantage that weekend and knew the roads better than anybody. 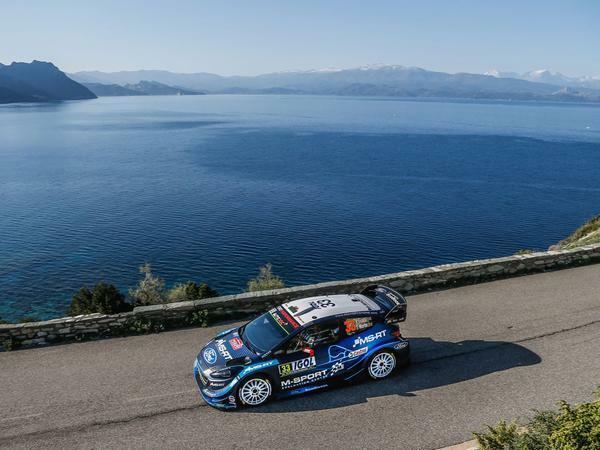 Winning the Tour de Corse, a rally that’s been dominated throughout its long history by tarmac specialists, would have been a different matter altogether. What’s more, Evans had battled to the top of the leaderboard through sheer pace alone, not through attrition or the bad luck of others. Evans really should have woken up this morning nursing the mother of all champagne hangovers. And Charles Leclerc, too. Neither of them actually won, but in both cases we can consider the weekend just gone the moment in time each driver emerged as a contender. With bittersweet third positions apiece, Evans and Leclerc have proven beyond all doubt they have what it takes to win at the highest level. Amazing drive from Evans. He had a tough year last year and this season must have felt like a daunting prospect; leading the team after the departure of Ogier. He had a difficult start, but two podiums in a row show he is really stepping up to the plate now. So gutted he didn't get the win, he really did deserve it. As you say, he wasn't in that position through luck, he was there because he absolutely deserved to be. He was really giving some of the best in the world a fight. He put some amazing times in this weekend and the others just couldn't respond. I'd kind of lost interest in the WRC but I was properly gripped this weekend. Good to see Elfyn's achievment getting some press! Was following this weekends rally and was gutted when I saw that he had lost it on the final stage. Especially with some of the stage times he had put in over the weekend proving his position was no Fluke. The cars looked absolutely mighty in some of the passing shots in the footage. Incredible speed and commitment on the tarmac surfaces. Great drive by Elfyn. He's always been quick, even back in the 1.0 Micra days. Grizedale forest? Are you sure? Any video?? I was expecting some given the headline. Loved seeing him lift the Rally GB trophy at Brenig a couple of years back, but as the article says this would have been another step up. 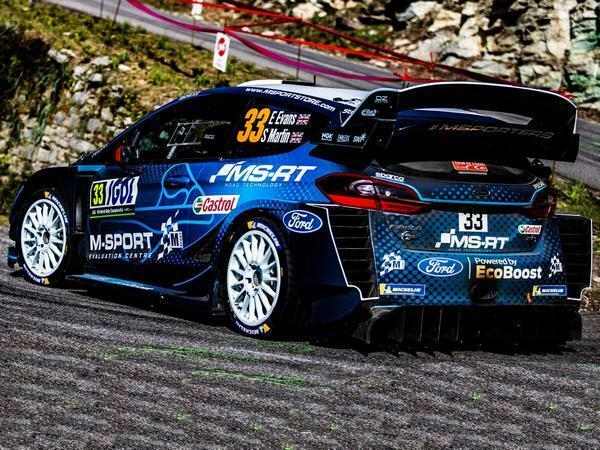 Keep going Elfyn! M Sport own Greystoke forest. Although they could have used Grizedale as it’s close enough.